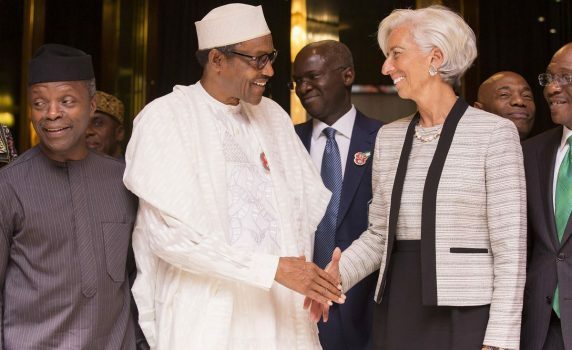 The International Monetary Fund (IMF) says Nigeria’s economy is recovering as President Muhammadu Buhari’s economic initiatives have been able to greatly strengthen the country’s reserves. According to its latest Executive Board’s 2019 Article IV Consultation with Nigeria, the Executive Directors of IMF welcomed Nigeria’s ongoing economic recovery, noting that there is improvement in manufacturing and services. The Article noted that Nigeria’s real GDP increased by 1.9 percent in 2018, up from 0.8 percent in 2017, on the back of improvements supported by spillovers from higher oil prices, ongoing convergence in exchange rates and efforts at improving the business environment. According to the Fund, Nigeria’s headline inflation fell to 11.4 percent at the end of 2018, reflecting a decline in food price inflation, weak consumer demand, a relatively stable exchange rate and tight monetary policy. The IMF said record holdings of mostly short-term local debt and equity and a current account surplus lifted gross international reserves to a peak in April 2018 while the oversubscribed November 2018 Eurobond helped cushion the impact of outflows.. The Fund however pointed out that persisting structural and policy challenges in the country have continued to hinder growth to levels below those needed to reduce vulnerabilities in the country. This, according to the Fund has made it extremely difficult to lessen poverty and improve weak human development outcomes such as in health and education sectors. The Washington-based institution however noted that large infrastructure gap, low revenue mobilization, governance and institutional weaknesses, continued foreign exchange restrictions and banking sector vulnerabilities were dampening long-term foreign and domestic investment, keeping the economy reliant on volatile oil prices and production. “Under current policies, the outlook remains therefore muted. Over the medium-term, with absent of strong reforms, growth would hover around 2.5 percent, implying no per capita growth as the economy faces limited increases in oil production and insufficient adjustment four years after the oil price shock. “Monetary policy focused on exchange rate stability would help contain inflation but worsen competitiveness if greater flexibility is not accommodated when needed. “High financing costs, on the back of little fiscal adjustment, would continue to constrain private sector credit, and the interest-to-revenue ratio would remain high. “Risks are moderately tilted downwards. On the upside, oil prices could rise, prompted by global political disruptions or supply bottlenecks,” the IMF added.